Bayer and Israeli company Netafim have joined forces to enhance the application of crop protection products while supplying crops with water in the most efficient way. 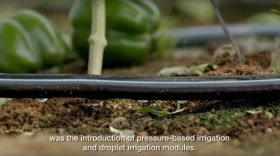 The two companies have developed a new approach called DripByDrip, where both water and crop protection products are distributed throughout the fields via a drip irrigation system before being delivered directly to the roots of the crops. According to a joint statement, this approach will enable farmers to apply crop protection products in a more targeted way using Netafim’s drip irrigation technology. The companies plan to launch the system in Mexico by the end of 2017. "To satisfy the increasing global food demand, we need to find clever solutions to further reduce the environmental impact of farming and save natural resources while assuring high agricultural productivity," said Mathias Kremer, head of strategy and portfolio management at Crop Science, a division of Bayer. "With the new system farmers will need less water and crop protection products, because the crops are taking them up directly through the roots. This enables them to develop well and protects them against pest and fungal infestations, which results in higher yields and better quality for farmers and consumers." The new approach will also help farmers to apply crop protection products in an easy and safe manner. "Being a closed transfer system, DripByDrip contributes to operator safety," Kremer added, "and as it can be automated, it is also less labour intensive for the farmer." Netafim CEO Ran Maidan explaine that the new combined system was very much in line with his company's purpose statement - 'Grow more with less'. "Our drip irrigation has been used for many years as a delivery system for applying water and nutrients in a precise and timely manner to the plants’ roots, helping farmers to achieve higher and better crop yields while saving water," he said. "Now, farmers will also be able to apply crop protection products in a more targeted way, to reduce their input of crop protection products, and use them in an even more effective and safe way. 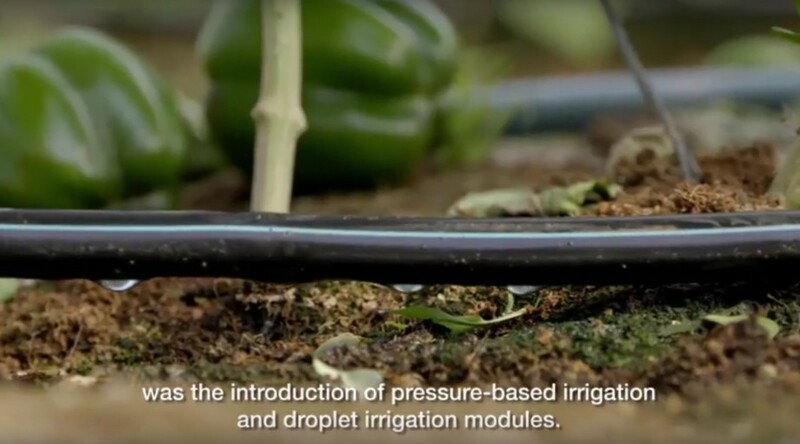 With DripByDrip, we will provide growers with an innovative, sustainable and easy-to-use solution, which combines technologies and know-how of smart crop protection with smart drip irrigation." Bayer and Netafim have already conducted several trials, among others on a farm in Mexico for peppers, tomatoes, melons and grapes. "The test results showed that yields increased and net revenues rose due to improved quality, and the number of applications was also reduced significantly, in one trial even by 53 per cent," said Holger Weckwert, project lead at Bayer. Successful proof-of-concept trials were also carried out also in Chile, Israel, Turkey, Spain and Brazil. The drip irrigation system also demonstrably reduces the use of water. "Tests have shown that water use efficiency is increased to up to 95 per cent compared to 40 per cent or less with traditional flood irrigation," noted Dubi Raz, Netafim’s corporate agronomy director. 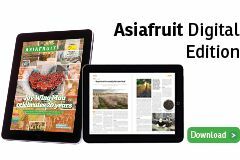 "Drip irrigation also increases the efficiency of fertiliser application, and helps prevent nitrate leaching into ground water, which becomes a serious hazard in agricultural regions that are using overdoses of nitrogen." 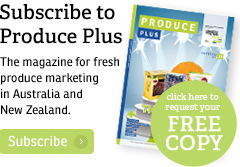 The system currently focuses on fruit and vegetable producers in all arid and semi-arid regions of the world, but crops like cotton, sugarcane and rice are being targeted in a 'second wave'. After the joint market launch in Mexico, both companies are working towards expanding the system and customising it to more countries, crops, pest and diseases. "Our collaboration with Netafim is a joint initiative," added Weckwert. "We are continuously working on further harmonizing Bayer’s crop protection products with Netafim’s drip irrigation system, and we are inviting complementing partners-such as companies specialised in fertiliser application, and others-to join in order to commonly find the best solution for farmers who want to have optimal and effective resource use. Together, we can drive this new approach and implement it worldwide."